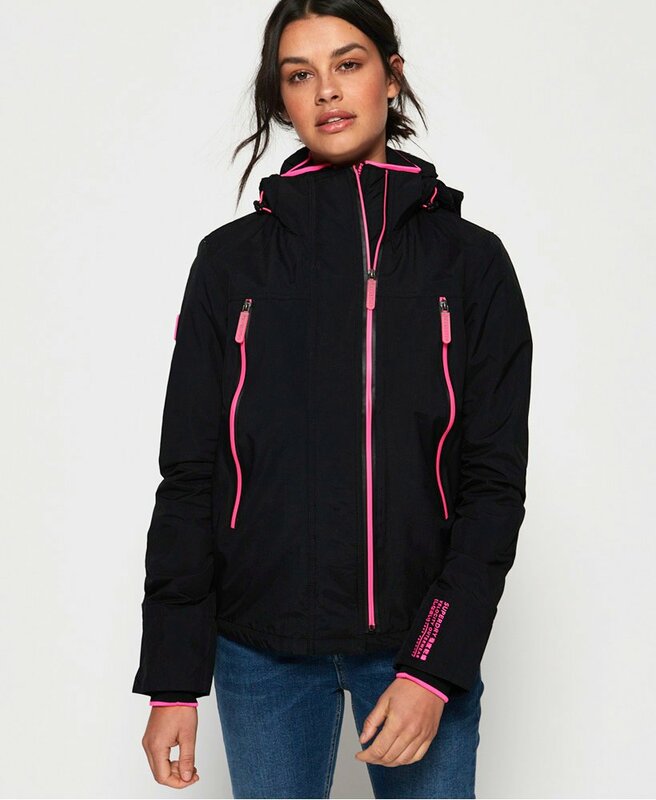 Superdry women’s Pop zip velocity SD-Windcheater. This season, why not invest in one of our iconic Windcheaters, a great throw on jacket that can be worn to an array of occasion. This jacket features a bungee cord hood, a double zip fastening, a bungee hem and two handy large front pockets. In addition, this SD- Windcheater is fully fleece lined, it has coloured piping throughout and ribbed cuffs with thumbholes. For decoration, this jacket has been finished with a Superdry badge on the arm, Superdry logos on the arm and back, as well as branded zip pulls for a premium finish.